I first tried Cetaphil in 2008 when I picked some up in Tobago. It's one of those rare 'cult' products that actually deserves its reputation. There's nothing fancy about it; it's very plain, there's no smell, it hardly lathers. It simply cleans skin without stripping it (and therefore causing it to produce more oil). My skin's dry anyway but I'm still very prone to spots for some doggone reason. Being a fickle little beauty blogger I must have forsaken my beloved Cetaphil at some point – probably because I have to order it online in the UK. Towards the end of my New York trip in September a little pack of hormone-affecting drugs caused a major, major outbreak, to the point where I was on the plane home wondering if everyone thought I had Chicken Pox. Having bought a gigantic bottle of Cetaphil in NY I started using it immediately upon my return and my skin has now been clear (barring the occasional spot) ever since. This time I am sticking with it. 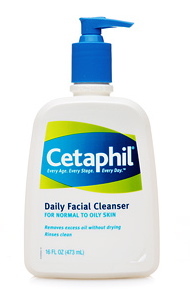 You can buy Cetaphil at Victoria Health for £7.95 with free postage. The name is slightly different to mine – 'Gentle Skin Cleanser' – but it's pretty much the same product. 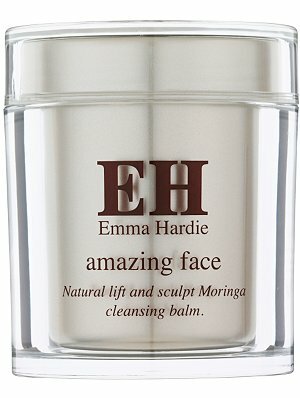 Another cleanser I've been using since summer is Emma Hardie Amazing Face Moringa Cleansing Balm. This product does an ace job of removing heavy makeup. You take a dab and emulsify it with water in your palm. You then massage it onto your face and remove with a special double-sided cloth (or any muslin/flannel). The texture makes it ideal for those wanting to perk up their complexions with a little facial massage: it comes with instructions on technique. I was originally sent the Amazing Face Natural Lift and Sculpt Anti Ageing Facial Starter Kit, as well as full-size cleanser. 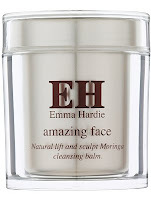 The kit's perfect for those wanting to try Emma Hardie as it contains cleanser, cloth, Rosehip Exfoliating Seeds and Natural Lift and Sculpt Moisturiser. I finished the moisturiser ages ago (loved it), kept the mini cleanser for traveling and have been using the exfoliating seeds ever since. They last forever. You shake a few of the seeds onto your palm and mix with the cleanser before massaging onto your face. I thought I'd barely be able to detect them as they're tiny, but the seeds create a really satisfying scrub, without being harsh. You can also vary the 'strength' of the scrub by adding more or less seeds. I like to use the Emma Hardie cleansing balm as a supplement to my standard Cetaphil routine – adding it in as and when my skin needs it. This cleanser feels wonderfully indulgent on dry winter skin but when I used only this in the summer I found it a bit too rich. Mind you, my skin is spectacularly unpredictable. 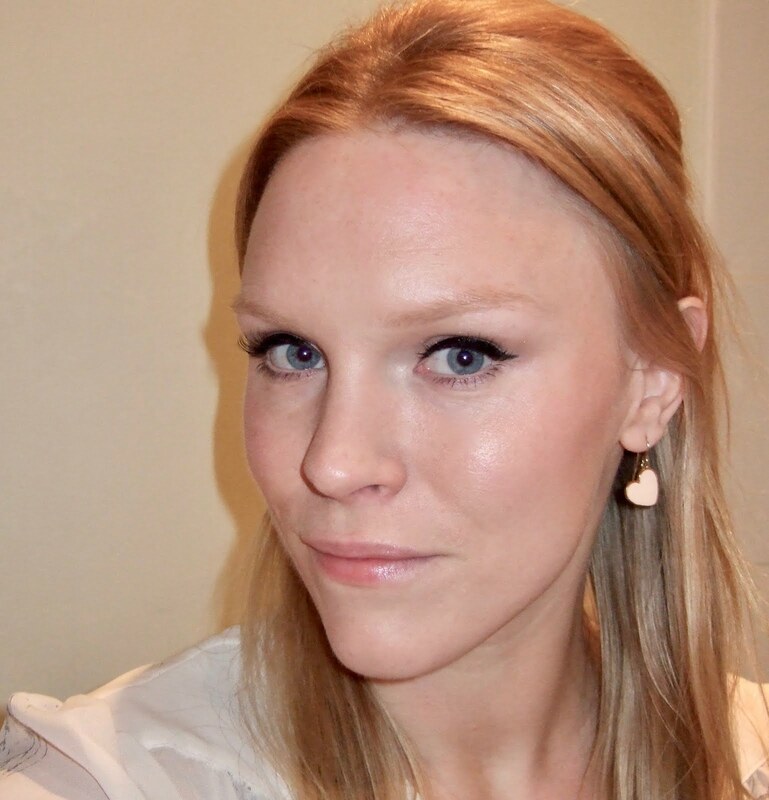 If you like the Eve Lom (mineral oil alert!) or Liz Earle (heaven!) cleansers you will very likely enjoy this. I bought the Emma Hardie set in the SpaceNK sale. I'm trying to decide whether to gift it or keep it for myself. Having read your thoughts I'm tempted to be selfish!